I’m calling this proper bread because if you’re going to take the time to make bread, this is how you should make it. It truly is the only way. I’m going to forewarn all of you reading this post now … this bread is not paleo, and it’s not gluten free. I will still be posting gluten free and paleo recipes, but this is a food blog first a foremost and I will always be posting my adventures in the kitchen. This bread happens to be my next adventure in the kitchen as well as my relationship with food. This is not your standard wonder bread, this is a 14 hour risen (overnight) beautifully crafted artisan loaf. I have experimented a bunch with Einkorn wheat for this bread and it does in fact work, but for some reason it tends to produce a much more dense loaf so sometimes I mix flours, sometimes I don’t. For those of you who are unaware, Einkorn is an extremely old and wild strain of wheat that has not been hybridized whatsoever. Some “gluten intolerant” people sometimes do not react to Einkorn, so hey there is a plus. If you want to test it with Einkorn you may, but please do so at your own risk. I have to admit, all of my knowledge of making strikingly beautiful and delicious bread is entirely attributed to teachings from the cookbook Flour Water Salt Yeast by bread master Ken Forkish. In order to fully understand the process of making proper bread, you must first read this book. Of course you can skip that and just attempt this recipe, but I promise that your results will likely be ten times better if you read this book first. 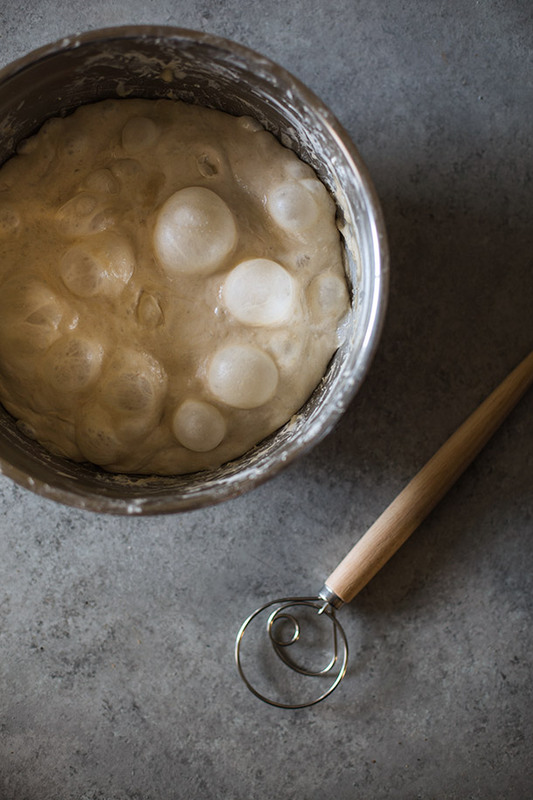 Basically, bread making is a cult and it’s time for you to join in on the fun. Your friends will think you’re the coolest, edgiest, person on the planet. You’re 4 ingredients, patience, and a steady hand, away from your friends thinking your super cool. Mix The 1000 grams of flour and 780 grams of lukewarm water with one hand in a 9-12 quart bowl, until just incorporated. Cover with a towel and let rest for 25 minutes. Sprinkle the salt and yeast evenly over the top of the dough. Wet your hands so the dough doesn't stick to you and gently stretch a quarter section of the dough over the center of the mass. 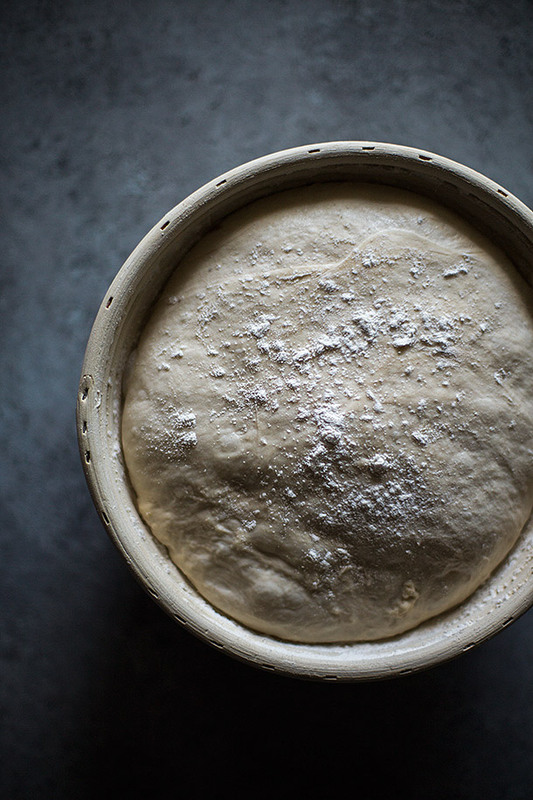 Repeat this all the way around until the exposed yeast and salt is enclose under dough. Using your index finger and thumb like a pincer, pinch the dough all the way through into about 5-6 sections, then fold the dough over itself a couple times. Repeat this process, alternating the direction of the pincer cuts, until all the ingredients are incorporated and the dough has some tension in it. Let the dough rest for a couple minutes, then fold the dough over itself for another 30 seconds or until the dough tightens up. Wait a few minutes for the dough to relax then grab a section (rewetting your hands as necessary) of the dough and gently pull it to it's max stretch without tearing and fold that section over the dough. Repeat that process until you've folded 3-4 sections of dough over itself, then carefully flip the dough ball so the seam side of all the folds is now facing down in the bowl. This is called and counts as a single "fold". Allow the dough to relax and spread back out and repeat this folding process 2 more times (allowing it to relax in between each fold), totaling to 3 folds. cover the bowl with a towel and let it rise at room temperature for 12-14 hours. I recommend starting this at night and just letting it rise overnight. Flour a work surface moderately with flour, about 2 feet wide. Leave a section of your counter un-floured. Flour your hands and sprinkle flour around the edges of your bowl or tub. Tip your bowl or tub slightly and gently work your floured free hand beneath the dough to loosen it from the bottom of the tub. Gently ease the dough out onto the work surface without pulling or tearing it. With floured hands, pick the dough up and ease it back down on the work surface in an somewhat even looking shape. Dust a line down the middle of the dough and cut the dough in even halves with a dough cutter or sharp knife. Move your racks in your oven to the center. Preheat your oven at 475 degrees fahrenheit with your 2 dutch ovens and fitted lids inside. It's okay if you only have one dutch oven but it would be ideal to have 2. If you only have one dutch oven, then place that single one in the oven. Allow your oven and dutch ovens to preheat for at least 45 minutes. Allow your loaves to proof for 45 minutes to an hour depending on the temperature of your kitchen. If you're only working with one dutch oven then place one of your proofing loaves in the fridge and pull it out of the fridge 20 minutes before the first loaf in the oven is done and removed from the oven. Moderately flour a work surface and gently flip the proofing basket upside down, being careful and watching for sticking. Don't let the dough tear or stretch. Carefully work the dough out of the proofing basket if it sticks. If you are only using one dutch oven then only do this with one loaf and leave the other in the fridge and remove it as instructed. If you have two dutch ovens then remove both loaves from the proofing baskets, with the side that was face down in the proofing basket now facing up. Remove either your single dutch oven or both and gently place on shaped loaf into each of the dutch ovens, being careful not to burn yourself. Place the lid on the dutch ovens and place it into the oven for 30 minutes, then remove the lids and bake for an additional 25 minutes or until the crust is dark brown. Remove your finished loaves and place them on a wire rack and allow them to cool completely. If you only used one dutch oven then simply repeat the oven process once more at this point. Just place the dutch oven back in the oven for 5 minutes to allow it to reheat a little bit before doing so. These loaves are best eaten the day of but will last you about a week. Once you've cut into a loaf just place it in an airtight container to keep it good. You will lose the crust after that but the bread will stay good. I recommend that you get the 8.5 inch circular proofing baskets if you don't already have them. I also recommend you place a thermometer in your oven to get an accurate reading of the temperature. Just wondering, you’re using “1000 grams all purpose white flour” – to me, that reads like “1000 grams all purpose white sugar”. Do you reckon I could simply replace white flour with whatever I deem more healthy? There’s nothing unhealthy about the flour unless one has celiac disease or you decide to eat the entire thing by yourself. Wheat breads are a solid staple of many diets around the world and is perfectly healthy in proper moderation. 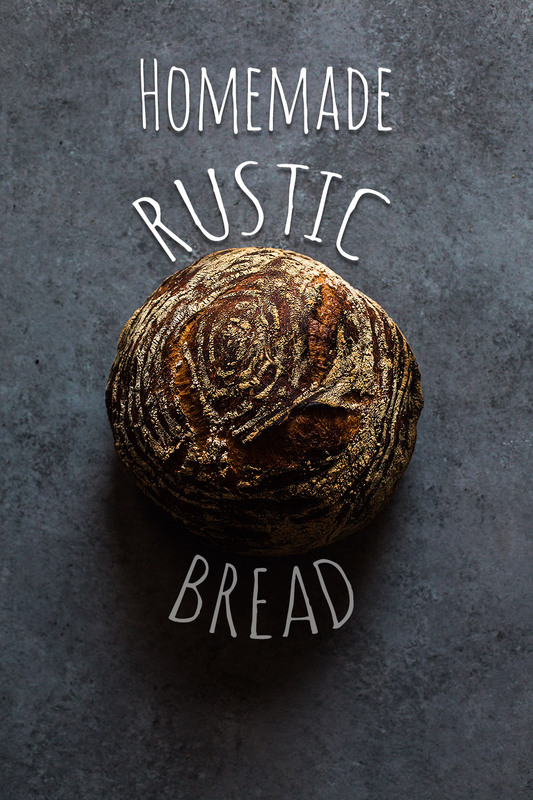 I’d say you could replace it with whatever you choose, as it is you baking in your kitchen and not anyone else, but the idea is that this is a rustic, traditional wheat bread. Looks amazing! Love all the great recipes that you make! I’m thinking of trying this out myself. I haven’t been here in a while, so I’m enjoying the gorgeous photos and recipes in your recent posts. I love your writing style, too. There are typos here & there but I don’t let those bother me in spite of being a grammar queen. Again, I love the sentence and your writing style is super-fresh! I like sending people to your blog if they are in your age range or younger because you make paleo very cool. 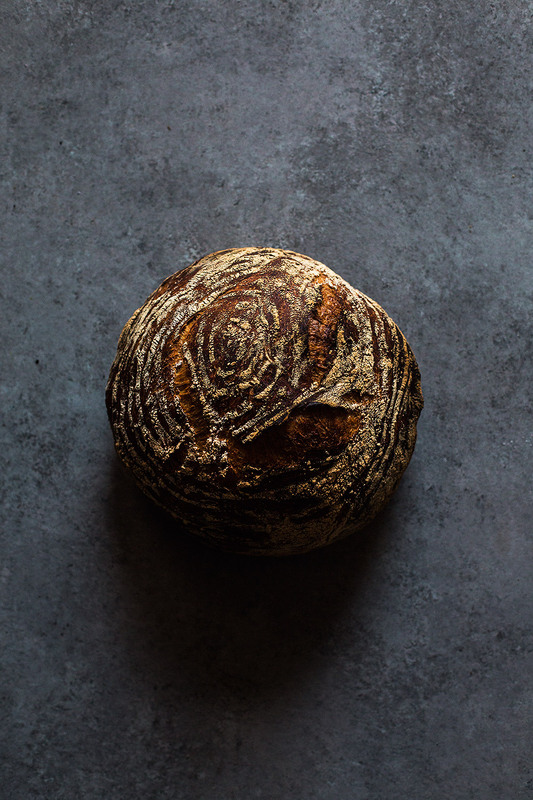 Putting the loaf of dough on parchment paper makes it much simpler to move the risen loaf to the Dutch oven by holding the paper’s edges rather than handling the uncooked dough. Thank you for such a delicious loaf of bread. Classic recipe. Just made these guys and they turned out great! Thanks Joshua! This is my favourite bread recipe I’ve tried so far.